VALUE FOR MONEY MARATHONS IN OUR LOCAL AREA. 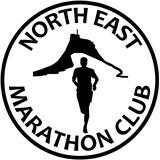 When we founded our club in 2010 there had been too few opportunities to run marathons in the North East. Instead members had to travel huge distances and pay out ever increasing amounts, often with little in return, to complete 26.2 miles. Now we have to contend with paying out ever increasing amounts for events in our area. The NEMC intends to rectify this situation by promoting events nearer home via our affiliation to the Association of Running Clubs (ARC). Our philosophy is to organise no frills, no fuss, low cost, scenic marathons for local runners in our local area. Our Club aims to be the focal point for local marathoners to share ideas and experiences, provide mutual support and encouragement as well as provide companionship and cost-sharing for more distant events. It is open to anyone regardless of age or ability and no matter how many marathons they've completed. Newcomers to marathon running are especially welcome. For more information email Mel. 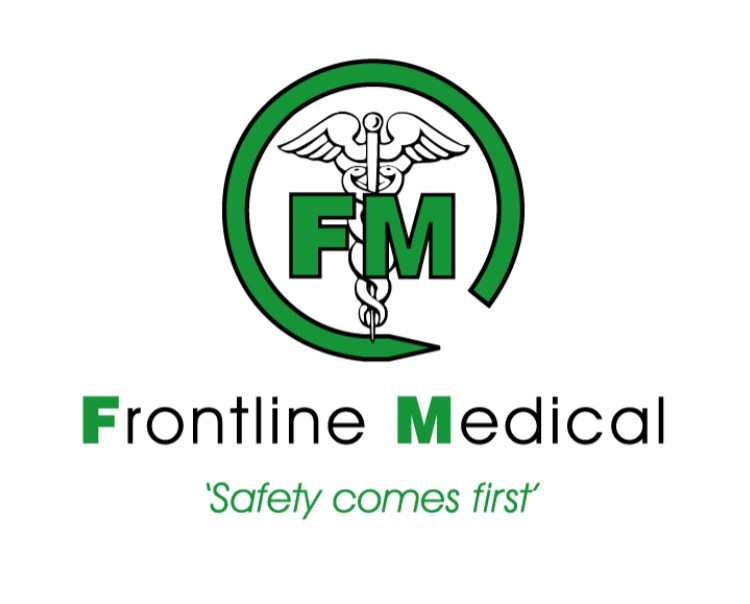 To join us: Only £10 per year and members will receive £2 discount on the entry fees for each of our NEMC organised club events and reduced entry fees to many other running events. Subs are payable on Jan 1st each year. Subs can now only be paid at SiEntries. To join CLICK HERE. CLUB KIT: Vests £10, Tshirts £12 and hoodies £18 in small, medium, large and extra large. Email nemcquery@gmail.com to order. Remembering Mick Sherriff, one of the Club's founder members, who sadly passed away on November 29th 2012. Congratulations to Andy for completing 25 marathons at Hamsterley today! Permission granted for Gibside 2019. Who can beat the distances Mel and Sue did in 2018? Mike and Casper show off the milestone T shirt at John O Groats. 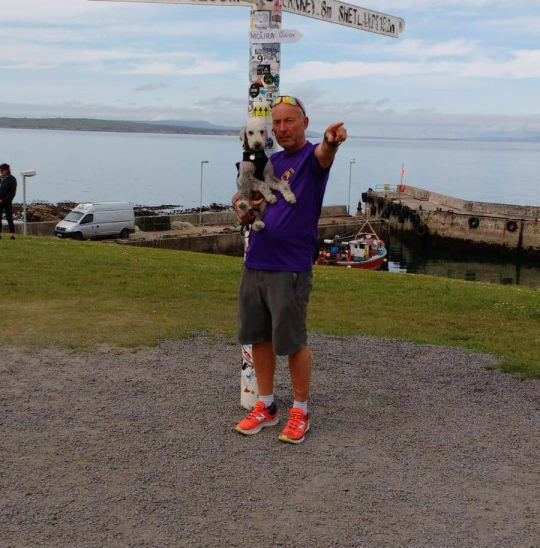 Mike and Casper showing off his milestone T shirt at John O Groats. Parker Man getting his 50 t-shirt and Town Moor Juniors this morning.